The fine point tip on the Surebonder Mini Detail Glue Gun is ideal for applying glue to small pieces and in tight, hard to reach areas. It has an operating temperature of 380°F (193°C) and 20 watts of power, which allows for double the flow of glue usually associated with traditional mini glue guns. Other features include an on/off switch with indicator light, an insulated nozzle, a rubber coating for easier cleaning, a detachable wire stand, and an 8 ft power cord. 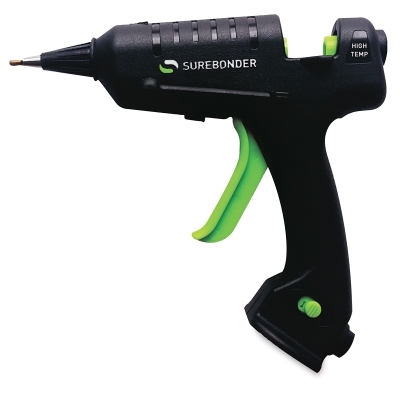 The Surebonder Mini Detail Glue Gun can only be used with mini 5/16" diameter glue sticks (sold separately). To view product details, click here.